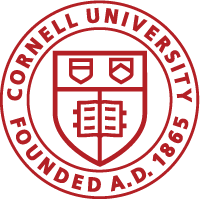 OEI stewards Engaged Cornell, the ethos fueling the advancement of Cornell’s mission through community-engaged discovery and learning. OEI helps faculty, students, staff and partners establish and nourish mutually beneficial collaborations. Staff in OEI work with faculty to integrate community engagement into courses to achieve rigorous student learning outcomes. Disciplinary knowledge can be advanced through community engagement. OEI works with faculty and their undergraduates and with graduate students to enhance research. OEI student programming cultivates engaged leadership skills and student agency that undergraduates can carry with them as they look to their next stage in life — in the workplace and in public life. OEI strengthens community engagement through continuous examination of its impact on communities, Cornell and higher education.